On 10 September 2018, AT&T announced that Ericsson is one of its technology suppliers for the operator’s nationwide 5G network. The announcement includes plans to introduce mobile 5G in five additional cities, namely, Houston; Jacksonville, Florida; Louisville, Kentucky; New Orleans, Louisiana; and San Antonio, Texas. These new cities are in addition to seven cities previously announced: Atlanta, Georgia; Charlotte, North Carolina; Dallas; Indianapolis, Indiana; Oklahoma City, Oklahoma; Raleigh, North Carolina; and Waco, Texas. Crucial to AT&T’s rapid deployment plans is the use of key 5G technologies using the millimeter-wave (mm-wave) spectrum to serve the connectivity needs of those in dense urban environments. 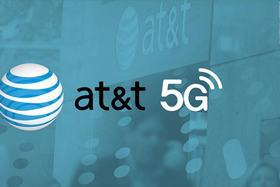 AT&T also announced a successful 5G data transfer in Waco, Texas, over mm-wave using standards-based production equipment with a mobile form factor device, utilizing a Qualcomm Technologies smartphone test device and Ericsson 5G New Radio (NR)-capable radios. On the same day, Verizon, along with Ericsson and Qualcomm Technologies, announced the completion of an end-to-end call with a smartphone test device on a commercial 3rd Generation Partnership Project (3GPP) 5G NR network in Minneapolis, Minnesota. Ericsson and T-Mobile achieved a similar milestone with Intel by successfully completing a multivendor 3GPP-based 5G data call in the United States using commercial radios and Intel’s mm-wave radio-frequency (RF) chip.